Home » 10 Astounding UFO Photos You Have To See To Believe! In our fast-paced world it’s easy to not notice the out of place and unusual events that occur everyday. For decades, people have been catching only short glimpses into the great unknown. Once in a blue moon, a lucky observer might even catch a photo it. 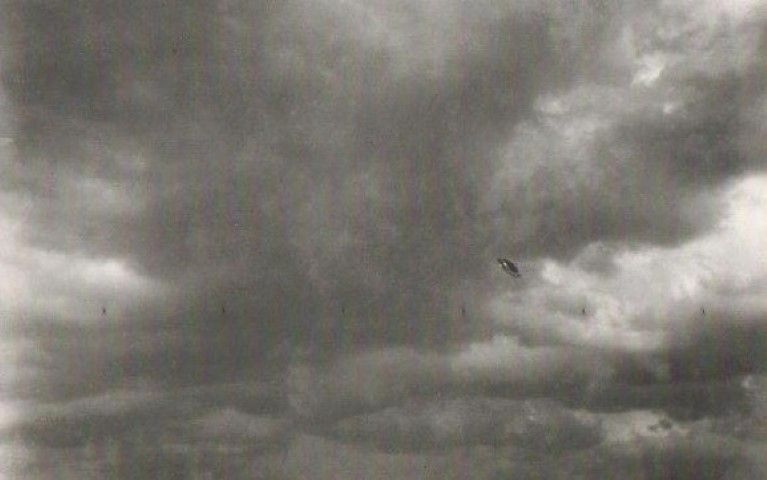 UFO photography has long been a topic of debate among the scientific community. Are they real? Are they hoaxes? Many of the following photographs have undergone extensive analysis in order to determine if they have been altered in any way. It is up to you to decide for yourself if the truth really is out there. Meteorologist Elizabeth Klarer took this photograph, one in a series of seven others, on an afternoon when she noticed something bizarre in the sky. Klarer, the wife of a pilot, immediately knew it was something out of the ordinary. The photo has been confirmed as authentic in an affidavit and remains a mystery to this day. Klarer stood by her statement until her death in 1994. On a cool evening in 1987, Randy Etting was out taking a walk after dinner. Something unusual caught his eye and he decided to grab his camera and take a picture of it. Etting, having been a commercial pilot for over 30 years, immediately knew he was seeing something special and quickly called his neighbors outside. Etting noticed the craft was heading over Interstate 84, and multiple cars on the highway had pulled off to look at it. He was quoted as saying the craft was massive and flew low to the ground but made no sound whatsoever. Though this is the only clear photograph of the sighting, it was reported by 20+ people that night. This sighting was reported anonymously online first in a Reddit thread. A man who chooses to remain anonymous (sans username of course) awoke to find a mysterious photo on his phone of the previous night. He states that all he remembers is going to bed and waking up the next morning. The photo details say it was taken at 22:51:22 on May 26th 2014. Various theories about the photo have been thrown around, but none can account for the colored lights, treeline background, and mysterious figure in the photo. It remains mystery to this day. Around 7:30 pm, Evelyn Trent was walking back from her farmhouse after feeding their rabbits when she noticed a metallic disk shape flying overhead. She called for her husband Paul, who rushed outside to see the craft. He went inside and got his camera and took two photographs. Originally, the Trents sought no publicity for their photographs. One conversation lead to another and before long the photographs were published in LIFE Magazine and more. They were billed as “At Long Last- Authentic Photos of a Flying Saucer”. It wasn’t long before fame turned to controversy as multiple people dismissed them as a hoax. It wasn’t until 2013, when IPACO subjected the photos to computer analysis and a variety of other tests that they were able to finally authenticate that the photos had not been altered and were in fact real. From November 1989 through June 1990, people from all over Belgium had reported sights of low flying triangular crafts with lights on the bottom. 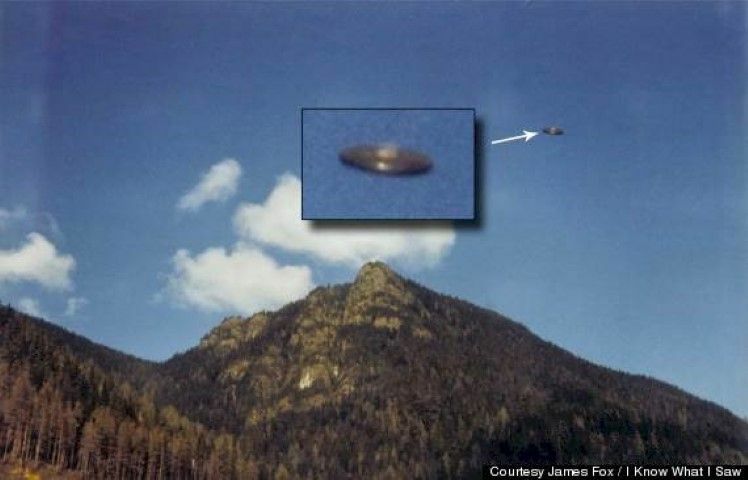 These sightings peaked in March 1990 when one craft was spotted on radar and was followed by two Airforce F-16s and witnessed by an estimated 13,000 people. Over 2,600 reports were filed and the Airforce was forced to file a public statement in regards to the incident. Photos of the craft have faced extreme skepticism, despite the thousands of witnesses who saw the craft. You can watch brief footage of this UFO here. These photographs of a mysterious circular formation of lights in the sky were taken by two different individuals in Houston TX on August 18th, 2014. The sightings were very quickly a viral hit, and were shared all over the news as well as social media. These photos have not been analyzed by any credible sources as of June 2015, but the sighting sparked multiple reports and brought UFO research into the public eye. July 19th, 1952. Air Traffic controller Edward Nugent sights seven unidentified objects on his radar and quickly informs his supervisor, who reports it to Andrews Air Force Base. Various pilots from the area begin to radio in asking about the strange lights. The sighting is published in the papers in the next day and the public shows major concern. A week later, on July 26th, the lights appear again prompting a more forceful comeback from the Air Force who send two F-94 Starfire Jets to track the lights and shoot them down. One pilot reported that when his plane got close to the lights they simply disappeared. Later that night two more planes were called, but the search turned up nothing. The sighting was the topic of controversy mostly due to the Air Force’s unsatisfying answers to serious questions in an attempt to ward off the media. You can see video footage of this sighting here. 2. The Phoenix Lights, 1997. March 13th, 1997. Residents from all around Phoenix AZ report strange lights flying through the sky. Thousands of people reported it and it has become one of the most researched mass sightings in American History. The craft was reported to have been almost a mile long and flew low to the ground but emitted no noise. The public’s desire for legitimate answers was met with mockery and dismissed. At one press conference, Gov. Fife Symington III claimed he knew the culprit for the mysterious lights and brought out one of his aides dressed in an alien costume. The Phoenix Lights have been the subject of multiple documentaries and television specials. You can watch footage of the Phoenix Lights in action here. 1. The Battle of Los Angeles, 1942. The Battle of Los Angeles, as it would come to be known, was the result of unexplained lights appearing in the skies on February 24-25, 1942. The sighting prompted a complete blackout of the city and the US Army firing anti-aircraft weapons in an attempt to shoot the trespassers out of the sky. The extreme amount of military retaliation can be attributed to the time and place of the incident. The incident occurred only 3 months after the US had joined WWII, an tensions about another attack on US soil were high. It made complete sense for the city of Los Angeles to be in that state of panic. There has been no concrete answer about this mysterious air battle. In 1983, the US Office of Air Force History released a statement identifying the cause as a weather balloon and flashes from exploding anti-aircraft guns. You can watch the original news broadcast about the Battle of Los Angeles here. I hope you’ve enjoyed this article, and that it’s sparked your curiosity in the unknown. Next time you’re outside, even if it’s just walking inside from your car, take a look up at the night sky. You never know what you might find.